Recently, as I was cycling through some of my favorite TV shows on Netflix (as we all do from time to time!) I came across an episode that hides a great message about responsible Social Media usage. 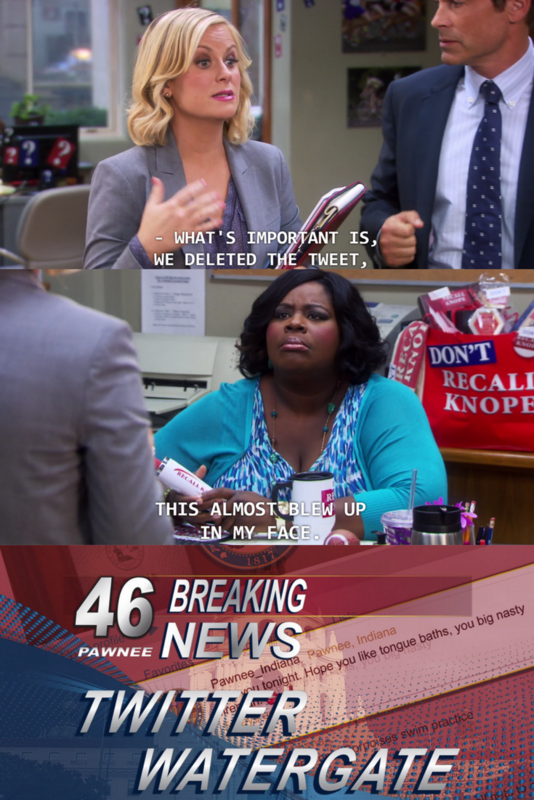 While this is created to be a comical situation in a television show, the important takeaway from this is that once it’s online, it can’t truly be “taken down.” If you’re using Social Media for business, it’s important to keep an eye on all of your platforms. For example, many Twitter accounts will begin to post or retweet content that is inappropriate for businesses to be following. If the public sees this and believes it to be the type of account your company is associated with, it can be a huge turn-off for prospective clients or customers. Another thing to be on the lookout is people posting to your pages. On Facebook, you can modify the privacy on a page so that anything you’re tagged in is shown privately to you so that the general public can’t see it. Again, even though you’re not posting these things, certain followers and engagement on your pages can create an association that is undesirable for your brand. If you have any questions on privacy settings or are looking for tips and tricks on responsible posting and sharing, please reach out to us at info@hashtaghostess.com and we’ll be happy to assist you. 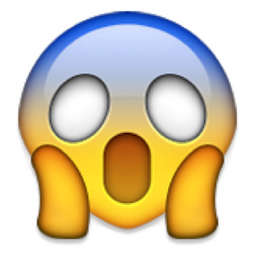 In the meantime, please share your social horror stories below! 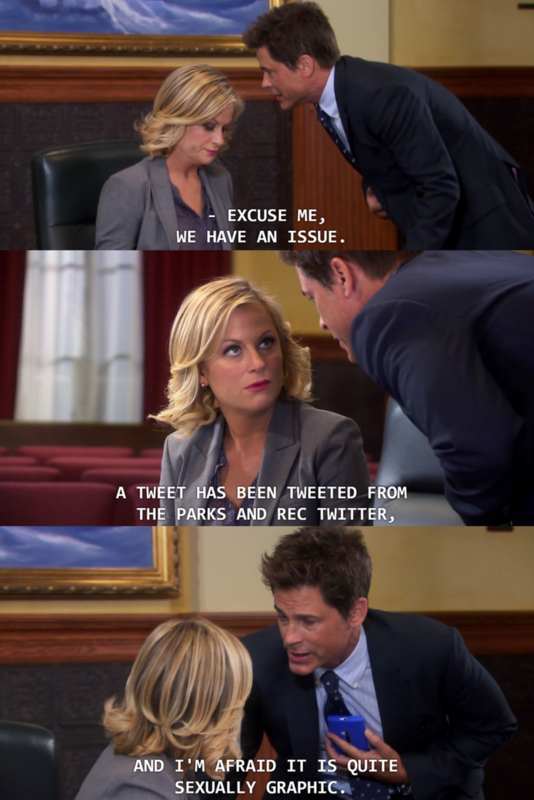 (*disclaimer* : Parks and Recreation is trademarked by NBC studios, and content within memes/images are not created nor owned by us.